A sensitive stomach should be treated like a fussy baby — you have to put it on a regular feeding schedule, keep it calm, and protect it from potential irritants. Identifying your particular trigger foods can be difficult. Even people without IBS will have a gastrointestinal reaction to certain foods once in a while. It just happens, and it’s perfectly normal. People with IBS, however, have a heightened sensitivity to foods, and this may cause them to overly limit themselves. For instance, they might eat a spicy bowl of chili, have a reaction, and condemn chili to a list of foods to be avoided forever. But what if the reaction was really due to unusual stress, or a mild case of food poisoning, or just one of those normal gut reactions? You might avoid a food forever for no good reason. By the time some clients come to see me, they’re downright food-phobic. They are so afraid of an attack of diarrhea, constipation, or horrific gas that they err on the side of caution — but too much caution can result in low blood sugar, weight loss, poor nutrition, and another kind of socially awkward situation; they can become afraid of eating with friends or leaving home for fear of an attack. If you have severe diarrhea-predominant IBS, your five-to-seven-day elimination diet will avoid all trigger foods plus all fiber, including soluble fiber (see Extreme Elimination Diet — No Fiber). If you have severe constipation-predominant IBS, your elimination diet will avoid all trigger foods, but incorporate foods rich in soluble fiber and insoluble fiber (see Elimination Diet With Added Fiber). The addition of soluble fiber can help encourage your intestines to “wave” more effectively. Whichever plan you follow, after about a week you’ll be ready to test some of the potential trigger foods. I recommend trying one new food every two to three days and carefully documenting what you eat and how you feel during the 24 hours afterward. This is a big job. If you try it on your own and find it unmanageable, I encourage you to work with a registered dietitian who specializes in gastrointestinal issues. As I said, these elimination plans are only for severe cases of IBS. If you’re among the majority of people who experience less debilitating IBS, feel free to skip the Extreme Elimination Diet plan altogether and go straight to keeping an IBS journal. Your journal should list exactly what you eat, when you eat, what symptoms you experience, as well as your emotional state for the day. Make a special note if you feel particularly tense, anxious, or stressed. When you have an IBS attack, consult your diary to see which foods you ate in the previous 24 hours and start a list of your potential triggers. Keep eating normally, always noting which foods you ate in the 24 hours prior to an attack and adding new items to your potential trigger list. When a food already on your list precedes an attack, make an X next to it each time it comes up. After a few weeks, those marks should tell you which foods are most likely to trigger an episode. Narrow down your list to the three most likely triggers, and avoid those foods entirely for two weeks. Continue to keep your IBS journal, and repeat the process. Every once in a while, test your trigger foods again (one at a time) to make sure you’re not avoiding them for no reason. Over time, you’ll have a good handle on which foods you need to avoid and which you can eat safely. NOTE: If you find yourself with more than five main trigger foods, see a dietitian to make sure that the rest of your diet is making up for whatever nutrients you’re missing by eliminating those foods. 1. Try to eat meals at approximately the same time each day to get your body used to a schedule. 2. Eat smaller, more frequent meals so you don’t overload your gut at any one time. 3. Slow down — sit, relax, and take time to thoroughly chew your food. Think of it as time invested in training your digestive system to behave. The best foods for IBS health are those that are gentle on the digestive system and encourage “smooth passage” through the intestines. Thus, vegetables, fruit, and whole grains — it pains me to say — should be limited until your symptoms subside and you identify foods that are problematic for you. It’s hard to imagine I just said that! Truth be told, these healthful foods are a bit hard for the body to break down, but remember I’m recommending you watch your intake only until you’ve got a handle on your triggers — even with diarrhea-predominant IBS, you should eventually be able to tolerate moderate amounts of all three groups, although you’ll probably need to cook vegetables. Soluble Fiber: Fiber comes in two main varieties — soluble and insoluble. During digestion, soluble fiber dissolves in water and turns into a kind of gooey, gummy consistency — think what happens to oatmeal after it sits in a pot of water for a time. Insoluble fiber is tougher. It doesn’t dissolve and pretty much keeps its form.Although insoluble fiber is generally healthy, it can be hard on the intestines of people with IBS. Insoluble fiber food moves quickly through the colon, something that many diarrhea-predominant IBS sufferers want to avoid. People with constipation-predominant IBS may want to experiment with how much insoluble fiber they can eat without experiencing too much gas and bloating.Soluble fiber, on the other hand, promotes gentle regularity, regardless of the type of IBS you have. That’s why you’ll find plenty of soluble fiber integrated into my Elimination Diet With Added Fiber. 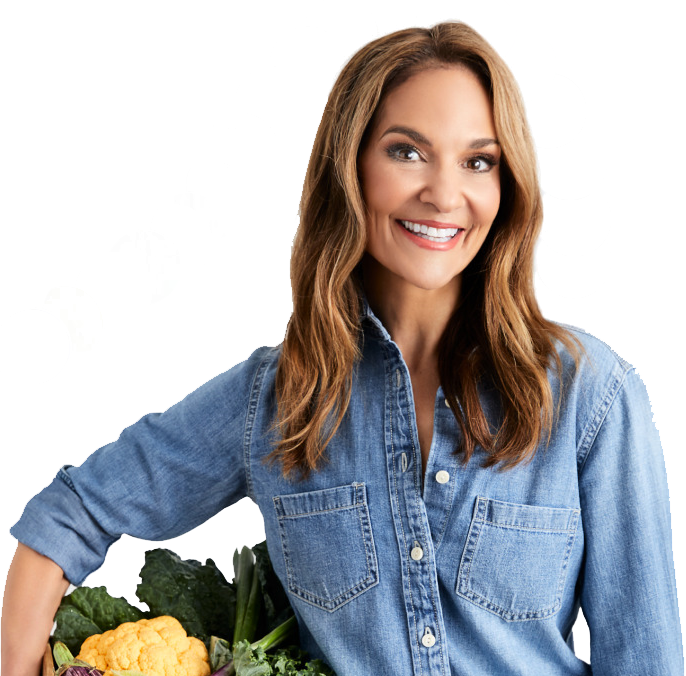 (However, my Elimination Diet doesn’t include foods rich in soluble fiber that also act as potential triggers, such as beans, lentils, broccoli, and cabbage. Of course, these foods can be added back to your diet during the experimentation phase in order to identify if they are personal triggers. If it turns out that beans or broccoli don’t upset your system, feel free to include them on a regular basis. ).Most foods high in soluble fiber are considered safe, and even beneficial, for people with IBS. The trick is to eat a variety of foods in moderation, without eating too much of one particular food or too much food in general at one time. If you have diarrhea-predominant IBS, I recommend slowly adding more foods high in soluble fiber to your diet. If you experience loose stools, back off a little, wait a few days, then add fiber again. The key is to eat just a little bit of extra fiber, building up to about six servings a day over a course of weeks, not days. However, for constipation-predominant IBS, you can be more aggressive, fiber-wise. The Elimination Diet With Added Fiber for constipation-predominant IBS works in three to six (or more) daily portions of soluble fiber, depending upon the meals and snacks you chose. Of course, even then you’ll want to moderate the portions and spread them throughout the day — as opposed to eating them all at one sitting — to avoid the risk of excess gas and discomfort. And, remember to drink plenty of water to help move it along.In my Elimination Diet With Added Fiber, I incorporate at least one serving of food rich in soluble fiber at each meal. If you have diarrhea-predominant IBS, and you’re ready to follow the less-extreme Elimination Diet With Added Fiber, you may want to move more slowly, starting with a single serving of one soluble fiber-rich food for the entire day. All foods rich in fiber included in IBS Shopping List have an asterisk (*), so you’ll know what to include and what to avoid.Raw vegetables — whether rich in soluble OR insoluble fiber — tend to be difficult for IBS sufferers (both diarrhea-predominant and constipation-predominant) to digest and can often trigger diarrhea, gas, and bloating. When you’re ready to introduce vegetables into your diet, I strongly recommend you stick to cooked vegetables. Once you’ve got a handle on the cooked produce, you can experiment with adding small amounts of raw vegetables to your diet on occasion. *The following fruits are high in fructose and/or sorbitol and may be trigger foods for some people. If you find that you do not have a personal sensitivity to these foods, they are excellent sources of soluble fiber and should be regularly included in your diet: apples, peaches, plums, nectarines, pears, mango, apricots. Liquids: All people with IBS should strive to drink flat water regularly throughout the day. If constipation is your problem, water will help keep your stools moist so they pass more easily; the soluble fiber in your diet will help too. If diarrhea is your problem, you’ll need to replenish the water you lose through loose stools. Plain water and decaffeinated tea should be your first choices. Carbonated beverages are not advised because the gas from the carbonation can get trapped in your intestines, amplifying discomfort. You’ll also want to avoid drinking caffeinated beverages and alcohol — which can stimulate the intestines and make symptoms worse — while following the Elimination Diet, particularly if you have diarrhea-predominant IBS. When you get to the experimentation phase and begin adding back foods, you can test your personal tolerance for caffeinated beverages and alcohol and decide whether you need to avoid them completely. Click here for 6 common IBS trigger foods.